Genetic screening of the bacterial ‘16S rRNA’ gene has made it possible to look at all the different bacteria living in and on our body. New studies using this method have shown that urine is in fact not sterile, but harbours communities of living bacteria. The gut microbiome and its role in health and disease has received much attention in recent years. 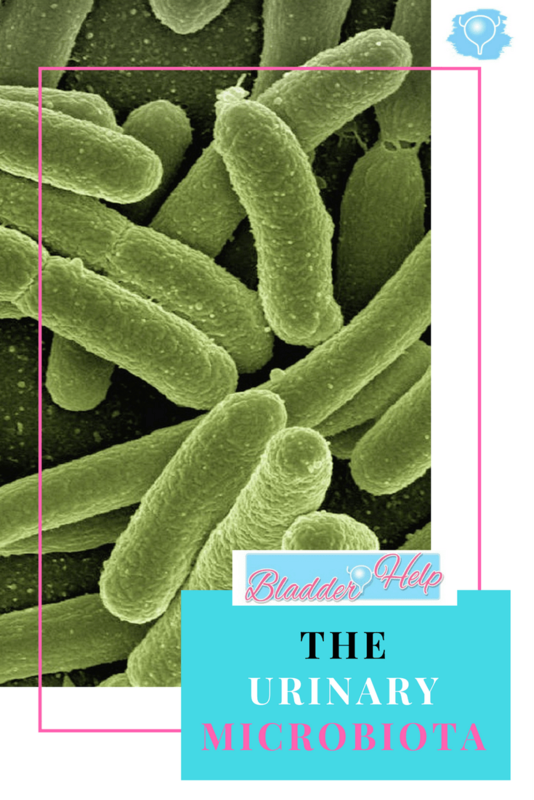 Other body sites have not received the same attention with regards to their individual microbiota but so far we know that the organs with a connection to the outside of the body seem to have their own microbiota – including the bladder. There is insufficient data to determine what the urinary microbiota should really look like. A healthy ‘core’ microbiota may exist but we don’t know exactly what it is yet. As with the gut microbiome the problem here is finding people that have not been negatively affected by modern lifestyle who could be representative for a perfectly healthy bladder. Studies so far have shown that the urinary microbiota fluctuates between the sexes and between different age groups. Fluctuations have also been found in diseased bladders compared to healthy ones. Around 85 different species of bacteria have been found in urine so far. Several studies have shown significant differences between the urinary microbiota of healthy individuals and people with clinical symptoms relating to the urinary tract. For example, those with symptoms had different types and proportions of Lactobacilli, a bacterial species known to play a role in urogenital health. Specifically, the strain Lactobacillus Crispatus seemed to be present in healthy bladders, whilst missing or reduced in diseased bladders. The urinary microbiota seems to change with age, a potential factor in increasing risk for bladder dysfunction in later life. It is known that the gut microbiota, for example, plays an important role in immunity and, if healthy, can ‘out-crowd’ pathogens and therefore help protect us against infections. The same has been suggested to be true for the bladder. The urinary microbiota seems to be different compared to healthy individuals in both people with existing symptoms and those who later developed urinary tract infections or other problems. In those who had symptoms but whose standard urine tests had come back negative the gene sequencing showed raised levels of bacteria that cannot normally be picked up on a standard urine culture test. Therefore, if you feel like you have an UTI but your tests come back negative it may just be a different type of bacteria! Hopefully in time better testing will be available. The urinary microbiota may play a huge role in the health and disease of the urinary tract and with more knowledge we’ll hopefully have more therapeutic options. While the 16S rRNA sequencing allows us to look at the different types of bacteria present in the urine, it does not tell us about other microorganisms that are not bacteria such as yeasts/fungi, protozoa and viruses. Neither do the standard culture tests used by most doctors. These other microorganisms have also been implicated in bladder conditions and some of them may also be a part of the urinary microbiota. Other testing methods would be required to capture pathogens that aren’t bacterial – new methods of metagenomics have the ability to sequence bacteria, fungi and viruses. Again, if you suffer from symptoms but your tests return negative consider that the problems may be caused by a virus or fungi instead of bacteria. Have you had UTIs without a positive urine culture? Share your story in the comments! Thanks, Sheryl! And also thanks for the link, very interesting!